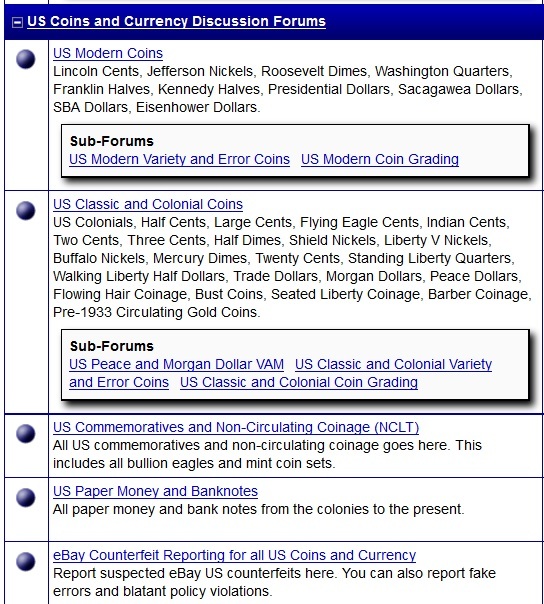 There are currently 90,547 users on this website. 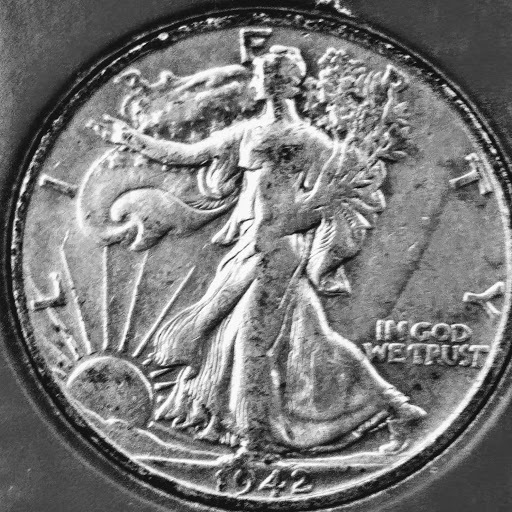 1942 Walking Liberty , Is This An Error? 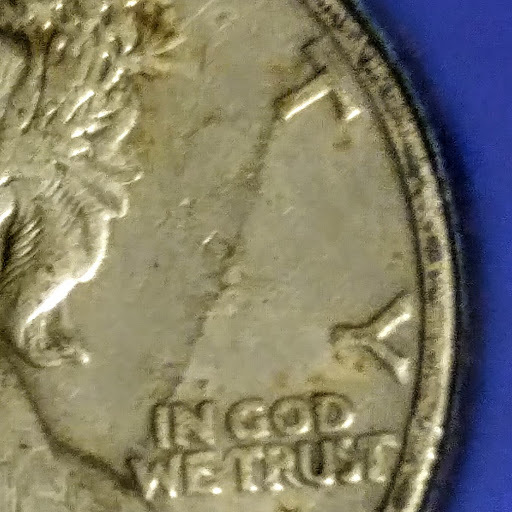 There is what appears to be a raised line (almost like a crack that was filled in) from the bottom of the "T" in Liberty, to nearly bottom of her gown. Any ideas? Could be a de-lamination that hasn't pulled away. Better pics, some angled would help. It looks like a stain to me, but better pictures would help. I agree hard to tell from these pics. 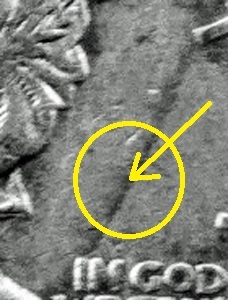 Without any further evidence of it being in relief or incuse, it just looks like surface toning to me (similar to what you see surrounding that same letter T). 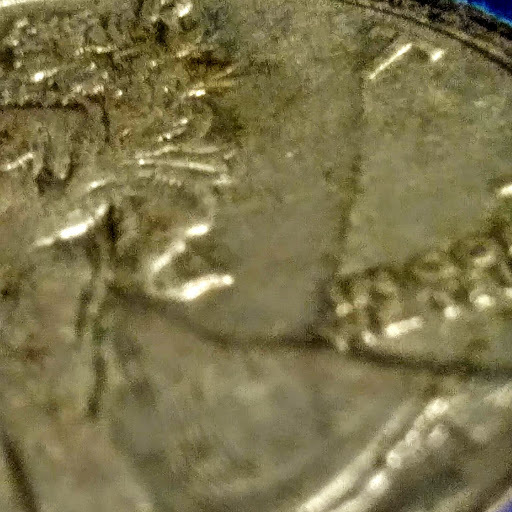 There may be a surface disturbance here, light reeding contact that pcked up enough grime to tone(tarnish). I added two more pictures. Its hard to get a good picture because its seal in a plastic case. Id love to break it open so I could feel it..errr. 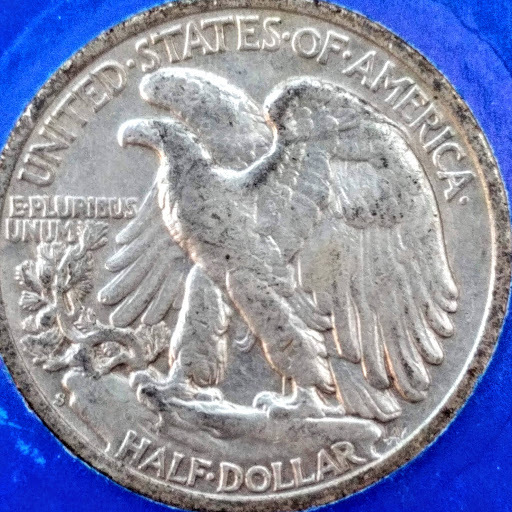 A Walking Liberty half dollar is considered a classic coin, so I moved your post to the appropriate section for the proper attention.